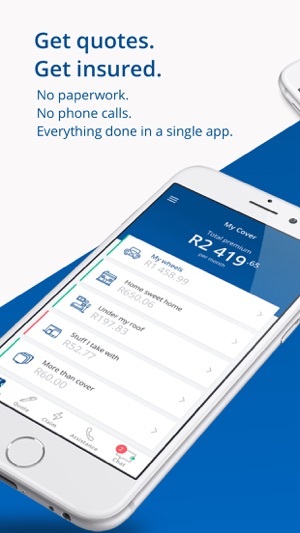 Ctrl simplifies your short-term insurance and takes the hassle out of getting and comparing different quotes from South African insurers. Everything is done through the app at your convenience. 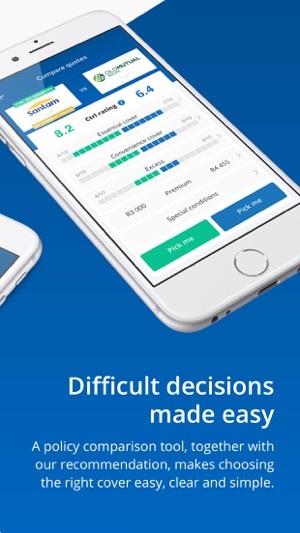 Do everything in a single app. No more call centres or heaps of paperwork. Everything is done in a single app, from getting and accepting quotes, to amending cover. Compare and choose. We’ve partnered with the most trusted names in the insurance industry, so that you can have your pick from the cream of the crop. 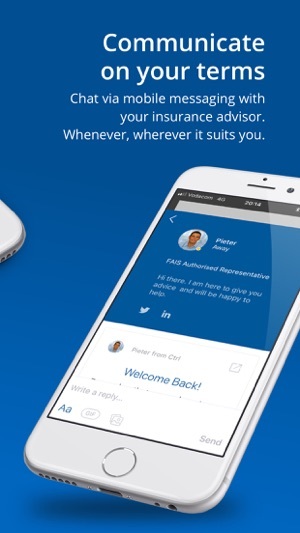 Chat with your insurance advisor using mobile messaging. Whenever, wherever it suits you. At Ctrl, your data is completely safe and all transmissions are securely encrypted. Our servers are located in ultra-secure data centers.